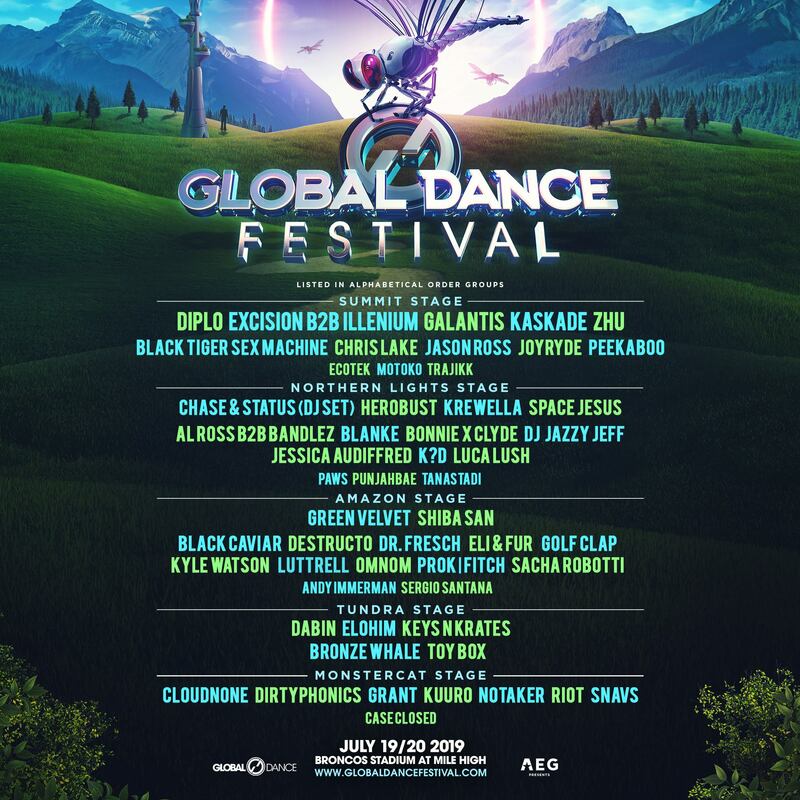 Colorado’s biggest dance festival is coming back to life for their 16th year in the Mile High, Global Dance Festival. They have moved locations from Red Rocks to their new home at Mile High Stadium, where the Denver Broncos play. 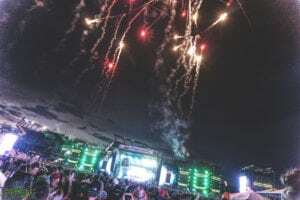 For their 2019 year, they are breaking grounds by making one of the biggest b2b’s happen to date, with Excision b2b Illenium. Sadboi b2b Angryboi go at it at the bass capital along with a full lineup of straight heat. Check out the full lineup in the graphic above! Zhu returns to the mile high for a thrilling and ominous performance. He had previously performed at the Northern Lights stage but this year is aimed to perform at the Mainstage, the Summit Stage. This stage is MASSIVE! Or at least it was last year, We can only imagine what is in store for it this year. The main LED Screen alone is ginormous but they had added side panels of LED screens to the side for amplification on the insane visuals. Can be seen in the picture below. The mainstage has everything a bass head can want, from nasty dubstep, to heavy electro, bass house, trap, the mainstage will cater to eveyones unique needs. 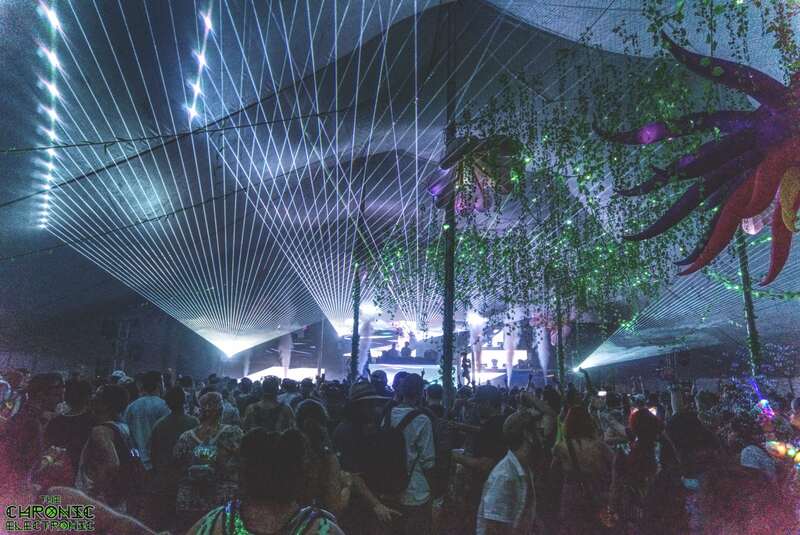 Meanwhile at the Northern lights stage, it is all balls to the wall in a tent filled to the brim with epic production, with fast paced electronic music and heavy bass from the likes of Chase & Status, Herobust, Space Jesus, Bonnie x Clyde, Blanke, and many more, we can only expect pure bass chaos in here! Of course the Amazon stage could not be left out. This is house music lovers haven! From Headliners, Green Velvet and Shiba San… Do I really need to say more? The whole support lineup for that stage are some of the most brilliant and goofy minded house producers in the scene! Come to that stage for when you are feeling like getting weird and groovy to the subtle sounds of deep house. Last year the last stage was the Tundra stage, which this year will host the lively feels from Dabin, Elohim, Keys n Krates, Bronze Walle, and Toy Box! But this year, that isn’t the last stage, they have added one more, from a iconic publisher. Monstercat; and they are bringing the heat from Cloudnone, Dirtyphonics, Grant, Kuuro, Notaker, Riot, and SNAVS! This year is absolutely nutty with their lineup and we suggest getting tickets ASAP when they go on sale which is this Monday, April 15th at 12 (noon) MTS! Stay tuned into their socials below for news and announcements! 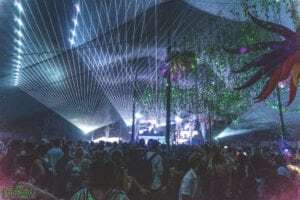 This entry was posted in Music Festivals, News, Previews & more and tagged Global Dance Festival. Bookmark the permalink.